In 2018 it is our goal to host 500 SREs across the country. The future of the profession depends on where you send your students. Join us on our SRE 500 CHALLENGE and start spreading vitalistic Chiropractic today! Go to SRE.LIFE.edu/resources to download the SRE Made Simple Guide. Then click on the “Host an SRE” button above to fill out the form with your tentative SRE date, time, and location and a Life U representative will reach out to you within 48 hours for the next steps. Invite your practice members, colleagues, and community to join you for a night that just might change a life. The success of the SRE 500 Challenge is dependent on us coming together as a TRIBE. HELP US REACH OUR GOAL AND WE WILL CELEBRATE IN FALL OF 2018. 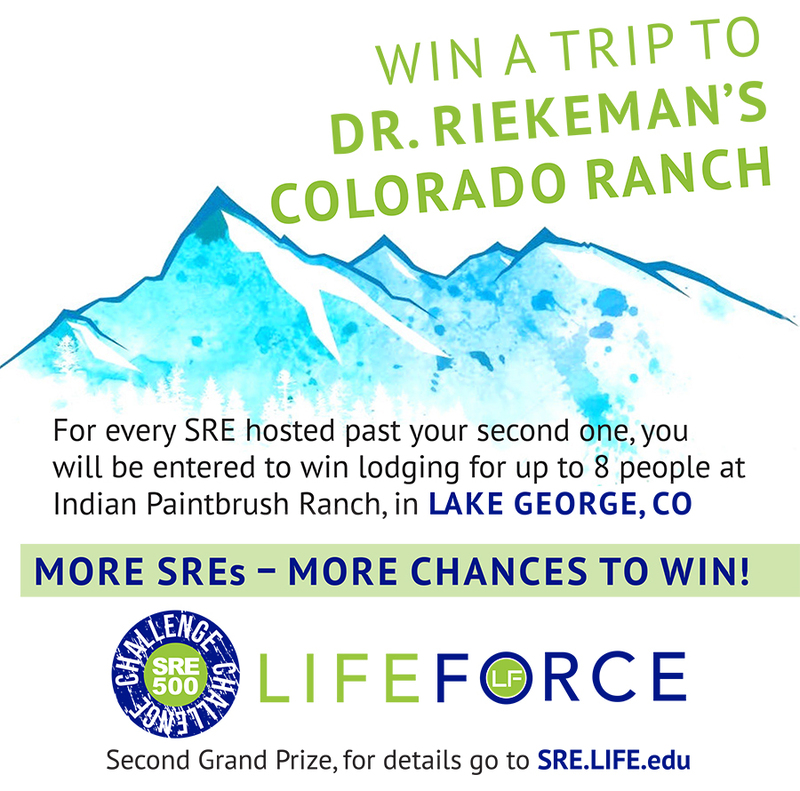 LIFEforce Tribe Members – Recommit to the LIFEforce Promise by participating in the SRE 500 Challenge. 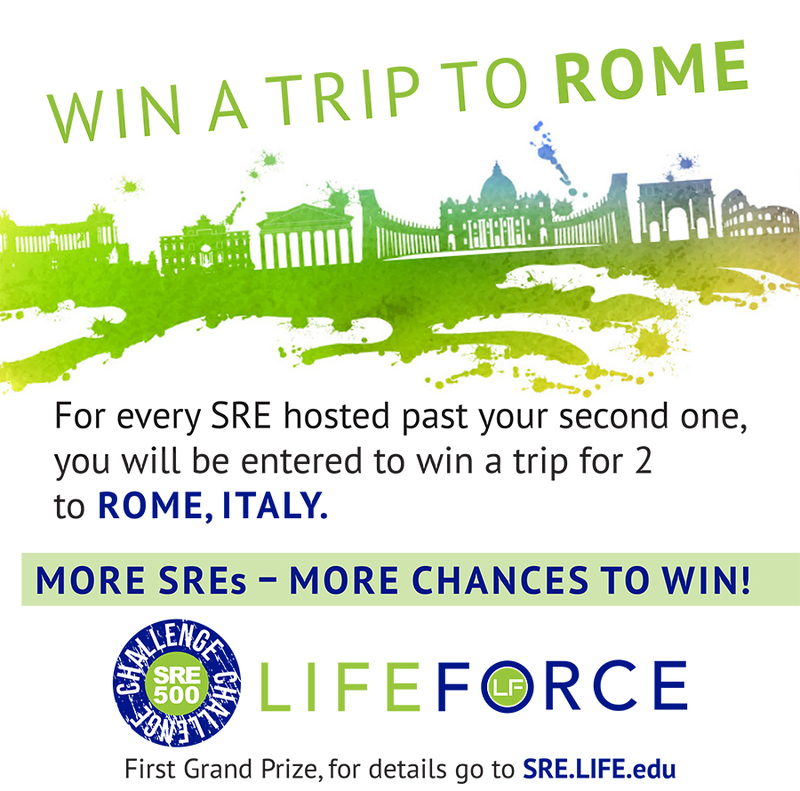 For every SRE hosted past your second one, you will be entered to win one of our grand prize trips. More SREs – more chances to win! Not a LIFEforce Tribe Member? Sign-up today and you will also be included in the SRE 500 Challenge grand prize drawing. Grand-Prize Trip #1 – 3 nights/4 days hotel accommodations in Rome, Italy for you and a guest. *See fine print below for further prize details. Grand-Prize Trip #2 – 5 nights/6 days at Indian Paintbrush Ranch in Lake George for up to 8 people. *See fine print for further prize details. 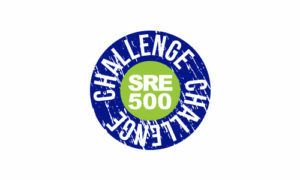 *To be included in the SRE 500 Challenge, you must email SRE@LIFE.edu before the event with the date and time of the SRE, and after the event with your prospective students’ names and email addresses, along with a photo from the event. All SREs need to be completed by midnight on December 1, 2018. The two winners will be announced on Tuesday, December 11, 2018. The first name randomly selected will win Trip #1 and the second name randomly selected will win Trip #2. The first grand prize includes two round trip tickets to Rome, Italy; three nights hotel accommodations (one room); and round-trip transportation from FCO. The second grand prize includes 5 nights/6 days lodging at Indian Paintbrush Ranch for up to 8 people. Advance reservations are necessary and will be based on availability of The Lodge. airfare, food, and activities are not included.